This week, all of the big toy companies came together in New York City for Toy Fair to showcase the hot new toys they’ll be rolling out for summer and the holidays. Among the countless plush toys, bikes and dolls were a number of innovative new tech toys that are sure to show up on kids’ wish lists this year. These are the 10 toys that made our list for the Best of Toy Fair Awards 2013. There are plenty of kid-tough cameras out there. But for kids, it’s not just about taking pictures, it’s also about showing them off. 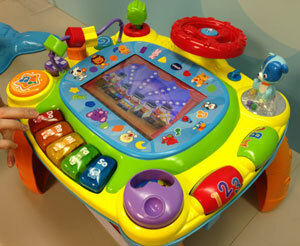 Hasbro address both desires with its Playskool Showcam. 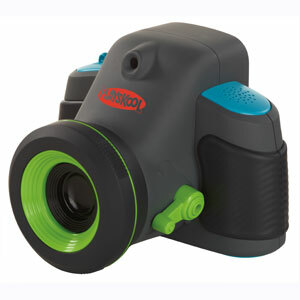 The Showcam has built-in projector and, with the flip of a switch, kids can change to projector mode to view a slide show of the stored photos. Press the Silly button and the photos project surrounded by a fun-themed frame. In camera mode, kids can add stamps, masks and even animations with sound effects. For kids 3+. Available in fall 2013 for $59.99. 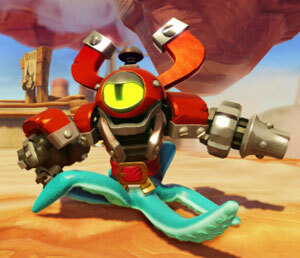 Activision’s Skylanders line brought real-world action figures to life in video games back in 2011. This year, Skylanders Swap Force delivers a whole new level of interactivity with characters that kids can take apart to swap tops and bottoms. With 16 the figures being released, kids can put together a whopping 256 unique skill combos to optimize game play. Available in fall 2013. Pricing has not been set, but figures should start around $10. 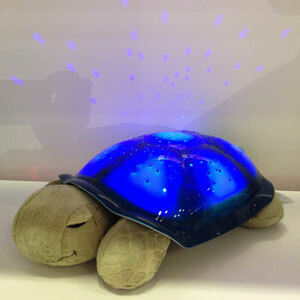 The Twilight Turtle, a combination plush toy and star-show night light, has been one of our favorite tech toys for years. This year, it gets a significant upgrades—integrated Bluetooth let's you stream music through a built-in speaker and also control the Turtle remotely. With the Cloud b app, you can turn Twilight Turtle on and off, create your own music mix and even play songs in your phone’s music library. You can also record a bedtime story or lullaby for your child to play while he or she is falling asleep. Available in May 2013 for $50. Want a pet dog for the kids without the hassle of feeding, daily walks and vet bills? Zoomer, the robotic dog from Spin Master, may be the closest you’ll get to the real thing. 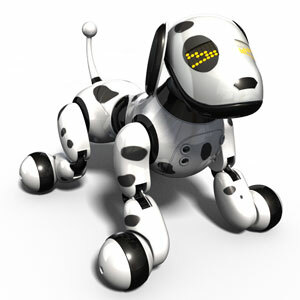 Just like a real dog, Zoomer comes ready to learn new tricks, and kids will have fun training him (her?) to obey their commands (around 30 teachable commands will be available when it comes to market). Kids will also love playing ball with Zoomer, rubbing his belly to make him happy and watching Zoomer explore his surroundings. Check out the video to see Zoomer in action. Zoomer will come to market in the fall with a suggested retail price of $99.99. 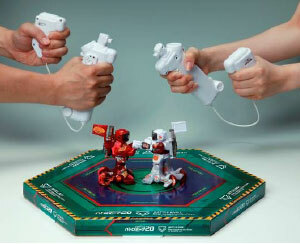 Tomy’s new Battroborg line of miniature fighting robots look like the love child of a Rock-em Sock-em Robot and a Nintendo Wii controller. Players use the motion-sensitive 2.4 GHz nun chucks to make their Battroborg robots throw quick volleys of rights and lefts. The robots record how much damage they’ve sustained on an LED indicator—hit the other player five times and it’s a knock-out! Up to 10 Battleborgs can fight it out at one time for a true Battle Royale. Boys have numerous choices of flying helicopters, quadrocopters and octocopters (alright we made that last one up) to choose from. But girls toys have been somewhat lacking in the flight arena. 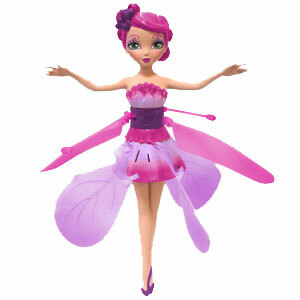 So we loved Spin Master’s creative adaptation of the flight technology used in their Air Hogs lie for the Flutterbye Fairies. 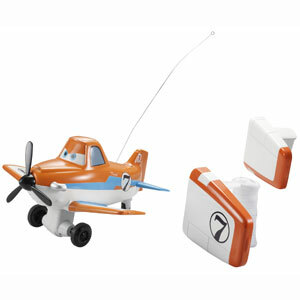 These flying figures have an infrared sensor that enables the toy to hover over the child’s hand (see the video below). The figures will be available this fall for $34.99. Remote control vehicles are always a bit tough for young kids to control. So Mattel developed a unique and intuitive controller for its new RC plane, Disney Planes Wing Control Dusty. Aspirational pilots as young as three years-old can easily control the plane by grabbing a motion-sensitive plane-wing controller in each hand and then tilting their arms like a real plane. Pushing a button on one of the controllers starts the propeller spinning and makes the plan move forward. Available in August 2013 for $39.99. 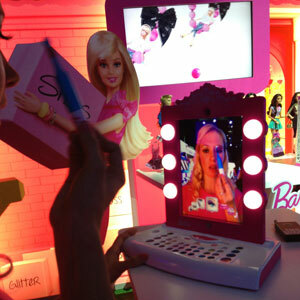 Girls can go crazy playing with makeup—without all the mess—with the Barbie Digital Makeover Mirror. This iPad accessory frames your iPad with makeup mirror lights and provides a full palette of eyeshadows, lipsticks, blushes and glitter. Girls use the included stylus to apply makeup, while face-detection ensures the makeup stays in place as the girl moves. When she’s done, she can add accessories, such as a tiara or earring, and save the look in the Digital Makeover app. No more broken lipsticks and makeup-smeared faces! Available in August for $69.99. As parents, the VTech iDiscover App Activity Table impressed us with its seamless integration of physical and digital play. When a tablet (iPad or Android) is secured into the table and paired via Bluetooth, each element the child plays with on the table affects what he or she sees and hears on the tablet. If a musical key is pressed, the app plays music-related content. If the ABC roller is rotated, the app serves up alphabet-related content. You get the picture. And so will your child—which is why we love it. For ages 1+. Available in fall 2013 for $44.99. Maybe this isn’t a “new” toy, but we just discovered it and I’ve never seen anything like it. My two grandkids—a 5-year-old girl and a almost 3-year-old boy—BOTH love playing with this silly little ball of fur. Indeed, I only gave one to my granddaughter because it’s only supposed to be for kids 6 and up. But my little guy wanted to play with it so often that I had to get another one for him. I’m not sure whether they are more like Tribbles of like “My Marvelous Little Toy” but they are so interactive that it’s hard to get bored with them. Only real issue is be prepared to have a great many AA batteries (or rechargeable batteries). There were a ton of robotic toys at Toy Fair. I thought Zoomer was cool, but Romo is on another level. I have to admit that I did not see Romo. It’s such a great idea. I like that it has features for everyone. Those who want to have fun out of the box can just pick up and play with it. However, I think the ability to use advanced programming really sets Romo apart from other robot toys. 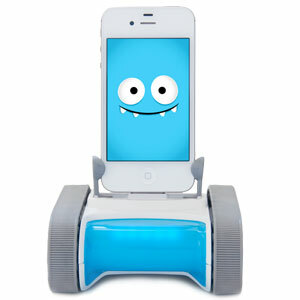 Have to agree with Melissa on Romo, such an awesome concept for a toy. Things have certainly changed in the last 10 years, quite scary really what kids now have access to! I am of the old school approach with books and non electronic devices.